The rising solids are called the “froth”. The float is skimmed off the surface by Scraper and further processed in the sludge train. It is used for removal of suspended solids such as emulsion of oil and grease. It is a part of a wastewater treatment system which contains bio degradeble organic compound. It provides an oxygen-rich environment so that microorganisms grow and reduce the organic portion of the system. 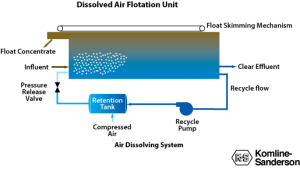 It is a physical filtration system(based on size) use in the wastewater treatment process. Most common uses of sand filtration are for removing turbidity and/or suspended solids. 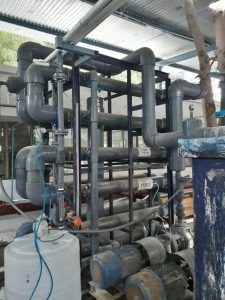 Two type of sand filtration system.